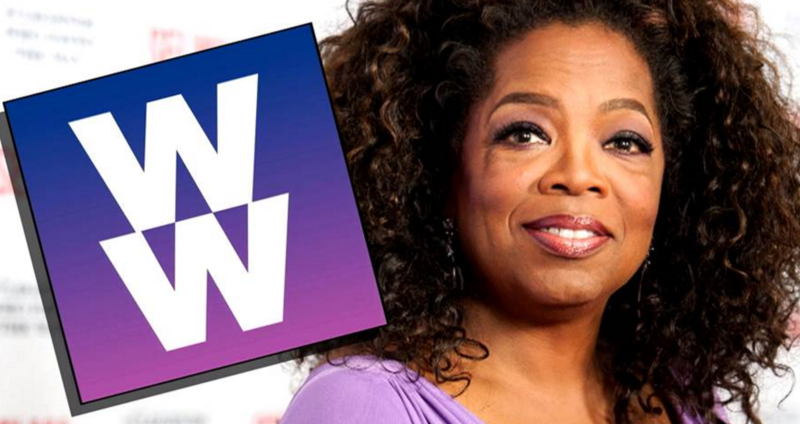 Oprah invests in Weight Watchers: what’s her motivation? Oprah has just invested in Weight Watchers. And not just a little bit, she is reported to be buying a 10% share and is joining its board of directors. My heart sinks and and I’m racking my brains to imagine what motivated this new foray into yet another weight loss scheme only a few years after she renounced dieting so publicly on her show. When Oprah interviewed Geneen Roth – the anti-diet queen and mother of intuitive eating – on her show she said that she’d realised she believed that “The thin me deserves to be loved but the fat me does not” and she read out an excerpt from Geneen’s book in which she talks about the futility of dieting and regaining the same 300 lbs over and over. Oprah knows about yo-yoing like this only too well. She has repeatedly lost and gained shed loads of weight over the years and her very public battle with weight loss and weight gain is proof that diets don’t work, however much money, power and time you have to invest in the quest for a thinner body. So how is it that she is now on the board of a diet industry giant who champions the exact opposite message that she embraced so enthusiastically when she renounced dieting? How can she stand behind a philosophy that tells women we are more worthy, more beautiful, more acceptable and more loveable when we are thinner. And that we have only ourselves to blame if we can’t lose weight? How can she support a corporation that sells women a product that doesn’t work – and then blames them for it. Really, Oprah? Last weekend I asked participants on our workshop who wished they could go back to the weight they were when they FIRST went to Weight Watchers to put up their hand. Almost every hand in the room shot up. 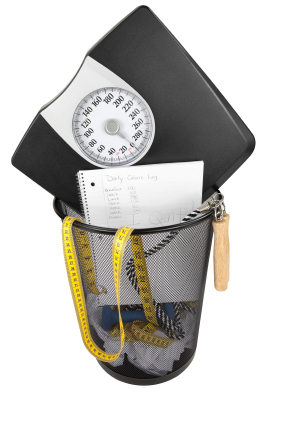 It’s true that the first time you go to Weight Watchers (and maybe even the second) you’re likely to lose weight. And… 98 out of 100 people put all the weight they lose back on, every time, plus a bit more for good measure. Weight Watchers does not work for long term weight loss. That is not an opinion, it’s not anecdotal, it is a proven fact. Weight Watchers refuse to do long term studies because they know just how damaging this would be to sales. If they had to publish the truth about long term weight loss we might just realise how futile the whole dieting and counting points really is and how signing up to WW repeatedly and ongoingly is like throwing our money down the drain. Worse, it’s paying to be humiliated and punished, week after week. It’s paying to be told that we are the failures when we can’t keep the weight off. It’s paying to be shamed and blamed. Every single woman who comes on our workshops says the same; going to Weight Watchers has left them feeling worse about themselves, believing they are weak and pathetic and hopeless. Fatter and more messed up and out of control around food. Is this purely a financial move? If it is then it would be in line with Weight Watchers goals which are far more about the bottom line than helping people achieve long term weight loss and good health. This investment comes at a time when Weight Watchers is struggling to compete with a growing number of free online apps and stay ahead of the game. The Weight Watchers debt has been growing steadily and shares had fallen 73% this year before the announcement of Oprah’s investment. Surely this is a PR stunt? A win-win for both Oprah and Weight Watchers in the money/fame game. I feel so sad. Having Oprah on board doesn’t make Weight Watchers any more respectable, it doesn’t make them more effective it doesn’t make their diets plans work, it won’t make any difference to the millions of people who will lose weight this year only to steadily regain it all next year. Having Oprah back Weight Watchers will not benefit anyone except Weight Watchers and Oprah who will get richer and will profit from people’s misery and the promise that they will achieve weight loss and salvation and the message that when they have lost that weight they will be better people. When they are thinner they will be beautiful. When they reach their target weight, then they will deserve love, kindness and respect. Having Oprah join the Weight Watchers clan doesn’t suddenly make it work any better, it won’t improve their stats for long term weight loss, it doesn’t make their eating plans any more sane or manageable. It’s just great PR and more money for both parties, earned by profiting from people’s desperation and self loathing. It doesn’t matter how many celebrities back Weight Watchers, it won’t make it work and it won’t make it honest. Woman’s Hour Diet Special – A bit of a rant! Is WW’s new Pro Points plan pro overeating? Powerful blog, Sophie and entirely true. Although we can’t know Oprah’s real motivations, it’s hard to imagine what it could be if it isn’t (a) that she believes in the product or (b) she wants to make money … the first of which is clearly unrealistic and the second unnecessary. I wonder if she might have done it in some desperate attempt to insure herself against weight gain? If she’s so public a ‘brand ambassador’ then the pressure on her NOT to put loads of weight on will be massive… Was it too scary for her to let go of the diet handrails? I assume this maps onto WW’s assertions that they are not selling a diet but encouraging healthy eating and lifestyle. Oprah’s rejection of dieting bolsters that image of ‘lifestyle change’. I once had a very frustrating conversation on Twitter with a female journalist who was supporting GPs being able to ‘prescribe’ WeighWatchers membership on the NHS for overweight patients after a trial which showed this was ‘successful’. I pointed out that most WW members don’t get personal encouragement from their GP every week, as they did in the trial, so the trial was not replicating the normal WeightWatchers experience, and that there was nothing on the WW site anywhere to indicate that the weight loss would be maintained since they don’t do studies on that. She seemed to be so convinced that WW was a good thing that no evidence to the contrary had any effect on that, and kept telling me that WW was all about healthy eating and exercise. So I am guessing the recruitment of Oprah is quite deliberately to reinforce this idea that WW is not about dieting. Why Oprah has taken this step is anyone’s guess. Maybe she does feel it will enable her to maintain her lower weight, as Sam suggests.